A brief overview of new drugs approved by the FDA between July 21 and August 28, 2017. On July 21, 2017, the FDA approved a self-injectable, subcutaneous formulation of belimumab (Benlysta; GlaxoSmithKline) for the treatment of autoantibody-positive systemic lupus erythematosus in adults receiving standard therapy. This is the second formulation of belimumab to receive FDA approval (the first being an intravenous form that was approved in 2011), and the first subcutaneous, self-injection therapeutic option approved for use in this patient population. “The approval of the new injectable formulation will now provide an additional choice for patients, allowing them to self-administer their medicine at home rather than going to hospitals or clinics for their infusions,” said Vlad Hogenhuis, Senior Vice President, Head of Specialty Care, GlaxoSmithKline, in a company press statement about the approval. The FDA approval of this formulation of belimumab was based on a randomized, double-blind, placebo-controlled, phase 3 clinical trial involving >800 patients with active systemic lupus erythematosus. At week 52, a significantly higher percentage of patients who received subcutaneous belimumab plus standard of care (60.8%) showed reduced disease activity compared with those who received placebo plus standard of care (48.47%; P = .0011). Adverse events occurring in ≥3% of patients include nausea, diarrhea, pyrexia, nasopharyngitis, bronchitis, insomnia, pain in extremity, depression, migraine, pharyngitis, cystitis, leukopenia, and viral gastroenteritis. On August 21, 2017, the FDA approved a fixed-dose combination of lesinurad and allopurinol (Duzallo; Ironwood Pharmaceuticals) for the treatment of gout-associated hyperuricemia in patients who have not achieved target serum uric acid levels with allopurinol monotherapy. 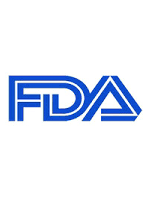 This is the first time that the FDA has approved a combination treatment that targets causes of gout-associated hyperuricemia and overproduction and undersecretion of serum uric acid. “The approval of DUZALLO provides a new fixed-dose and dual-mechanism treatment option to help patients with uncontrolled gout achieve target serum uric acid levels. This represents an important and needed new option in the treatment of hyperuricemia....Getting patients with gout to serum urate goal, and keeping them at or below goal, are essential to success in treating these patients. DUZALLO will help reduce the significant unmet need among patients in the U.S. who fail to get their serum uric acid levels to goal despite taking allopurinol alone,” said Michael A. Becker, MD, Professor Emeritus of Medicine, Department of Medicine, University of Chicago, IL, in a press release issued by Ironwood Pharmaceuticals. The FDA approval of the fixed-dose lesinurad and allopurinol combination was based on data from the lesinurad new drug application clinical program, as well as from a pharmacokinetic trial comparing the bioequivalence of the combination with the coadministration of separate lesinurad and allopurinol tablets. The safety and efficacy of this combination were determined through data from 2 pivotal, randomized, multicenter, phase 3 clinical trials—CLEAR 1 (N = 402) and CLEAR 2 (N = 410). Among adults with gout who did not achieve target serum uric acid levels with allopurinol monotherapy, lesinur­ad in combination with allopurinol reduced the mean serum uric acid level to <6 mg/dL by 1 month (and maintained this level through month 12), and approximately doubled the number of patients achieving serum uric acid levels of <6 mg/dL at month 6. The most common adverse events observed in these trials were headache, influenza, higher levels of blood creatinine, and heartburn. On August 28, 2017, the FDA approved adalimumab-adbm (Cyltezo; Boehringer Ingelheim Pharmaceuticals), a biosimilar to adalimumab (Humira; AbbVie), for the treatment of multiple chronic inflammatory diseases, including moderate-to-severe rheumatoid arthritis, psoriatic arthritis, ankylosing spondylitis, moderate-to-severe Crohn’s disease, moderate-to-severe ulcerative colitis, moderate-to-severe plaque psoriasis in adults, and moderate-to-severe polyarticular juvenile idiopathic arthritis in children aged ≥4 years. Adalimumab-adbm is the second biosimilar to adalimumab that has received approval from the FDA for the treatment of these various conditions. “Cyltezo is the first biosimilar from Boehringer Ingelheim to be approved by the FDA and marks an important step towards our goal of providing new and more affordable treatment options to healthcare providers and patients. Chronic inflammatory diseases collectively affect 23.5 million people in the US, and Cyltezo has the potential to deliver significant benefits to many of these individuals,” said Ivan Blanarik, Senior Vice President and Head of Therapeutic Area Biosimilars, Boehringer Ingelheim, in a company press statement. The FDA approval of adalimu­mab-adbm was based on comprehensive data that demonstrated the drug’s biosimilarity to adalimumab, including analytic, pharmacologic, and nonclinical and clinical development trials. The most common adverse events associated with the use of this drug included infections, injection-site reactions, headache, and rash.